A portion of the proceeds of what you buy will go to The Arc of IRC! When you donate gently used items, or stop and shop at Hope Resale, you give hope to our individuals. Enjoy shopping for a cause. Donate your gently used items, Hope will even pick them up for you. Call them at (772) 918-4640. Tell them The Arc sent you. Happy Dropping or Shopping at Hope Resale Boutique! 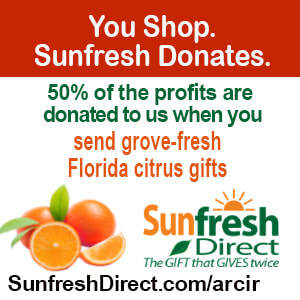 ​ Shop for everyone on your gift list this holiday at Amazon and Amazon donates to Arc Indian River. The Arc gets a gift as well! .